New York city is going through real crisis this time, Normal cars and vehicles like police cars, ambulances can not reach on time on the destination. So American Army introduced flying gear for the flying car simulator car. Start riding futuristic car simulator for the very first time for rescue mission. 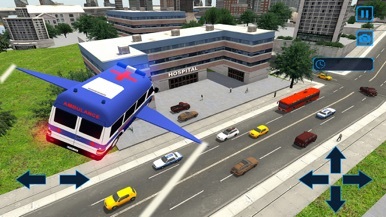 So, grab your steering and take your flight simulator ambulance on special mission of saving injured and rescuing the humans. US Police Flying Car Ambulance Rescue and Police chase and flying car missions you would love to play. 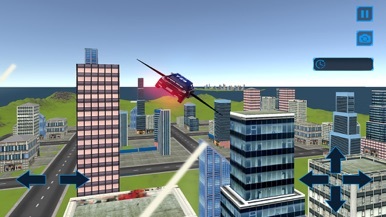 If you ever wished for hi-tech flying racing cars and on sky high for flying car, or rope flying than this flying ambulance and flying police car chase is the best rescue flying car game for you. 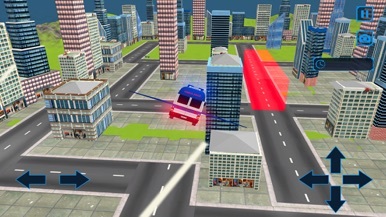 So, Play this free game in city streets fly high and rescue as many injured as you can and chase the thugs, criminals and gangsters with your flying car police chase like never before. 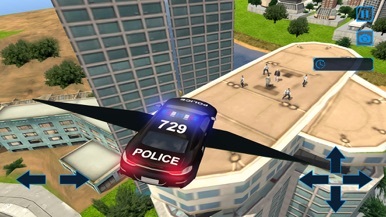 Play one of the best flying car rescue operation game having Ambulance flying car and police chase flying car missions. See how easy it is to get your ezMobile App! Easily integrates with your ezTaskTitanium website.